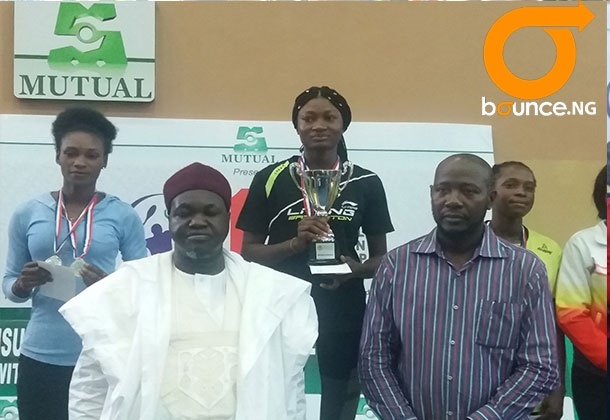 The duo of Anuoluwapo Opeyori and Dorcas Adesokan were the stars of the Singles’ event at the just concluded 1st Mutual Benefits National Badminton Championship which ended over the weekend at the Police College, Ikeja Lagos. Lagos-based, Anuoluwapo who lost to Krobapo Clement of the NSCDC in the final in Katsina was ruthless against his doubles partner Godwin Olufua winning 21-7, 21-12 to emerge Men’s Singles Champion. 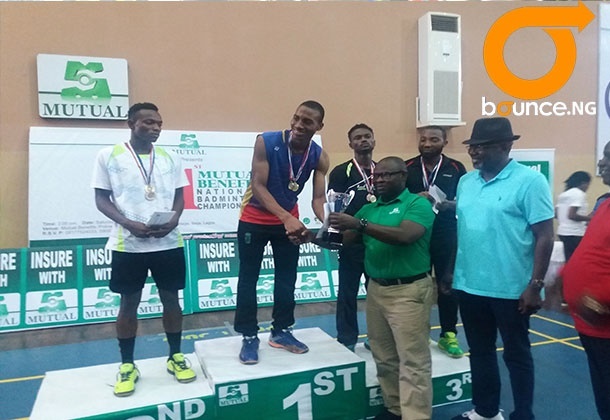 In the Men’s doubles Final Anuoluwapo Partnered with Godwin Olufua also of Lagos state who caused the biggest upset in the Singles event by defeating Clement Krobapor to beat the duo of Habeeb Bello and Usman Ishiaq, who retired owing to an Injury while trailing 8-21. In a chat with www.Badmintonnigeria.org Anuoluwapo says he is extremely happy winning in Lagos. “I am happy saving the best for the last. Winning the double makes me feel I am improving but I must say hard work was key to my success” . In the Women’s category Dorcas Adesokan edged a spirited Zainab Mommoh 21-15, 21-14; while Anuoluwapo got his Second Gold from the Doubles event, Dorcas got her second Gold in the Mixed Doubles. The pair of Clement Krobapor and Dorcas Adesokan beat Jimkan and Minaphee 21-16, 21-14. In the last event of the day Augustina and Zainab succumbed to the firepower of Deborah Ukeh and Peace Orji 18-21, 21-13, 16-21 to emerge women’s doubles champion. Meanwhile, President Badminton Federation of Nigeria Francis Orbih says the technical committee will use the National Badminton Championships in Katsina and Lagos to rank players in the country while hailing the standard of the National competitions.